The true length of the axle shaft is 174 mm. Please note: Thru-axle lengths do not equal hub standards. An axle has to be longer than the hub to fit in the frame. A 12×142 hub does not equal a 142 mm long axle. Excellent fit. Directions for size were spot on. Ever so impressed with your company and this product! The axle was shipped to Canada and installed on the bike within 4 days of making our online order. 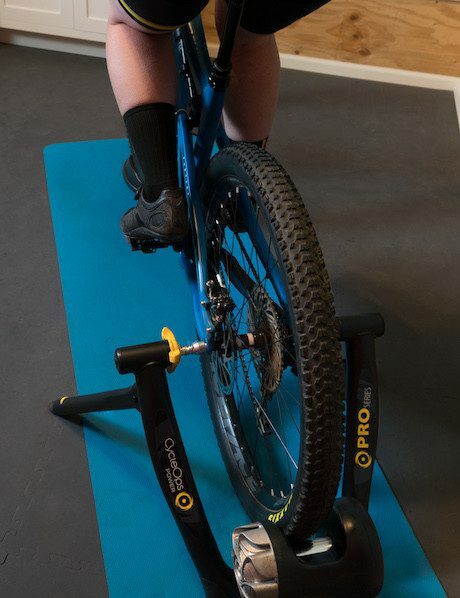 The axle was easy to install, fit perfectly, and is compatible with our elite trainer. The accompanying instructions were very clear and detailed. You website is very user friendly. The brand-specific dropdown menu is very useful and inspires confidence that your product is well-designed. Thanks for saving the day!!!! 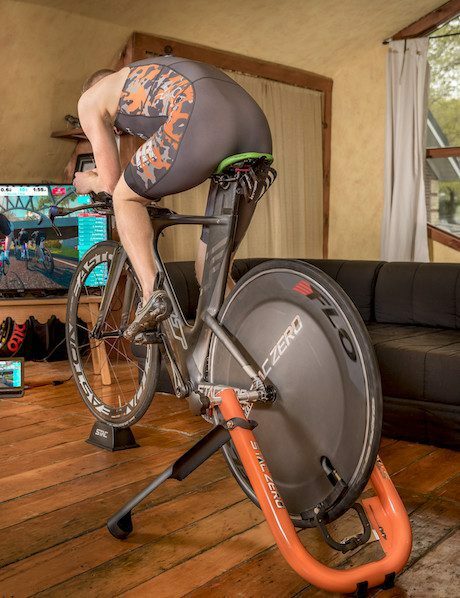 Bought a 12X142mm for my indoor training on my Cycleops Jetfluid Pro. The website fitting guide said it fit: it is a very close call…You’ll need to “stretch” the trainer arms by hands while pushing on the saddle. Once seated, it work fine and is very sturdy. I won’t put back the formula axle next summer; I’ll simply remove the conic ends of this better axle. 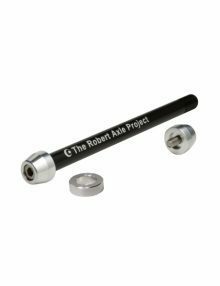 I needed a trainer axle for my daughter’s bike but couldn’t find one until I found The Robert Axle Project. Their customer service and support was excellent in making sure that I ordered and received the correct axle. 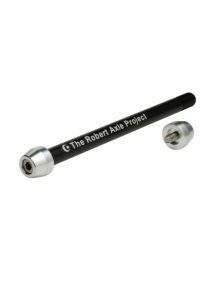 The product is excellent, so much so that I ordered another axle for my Domane bike to replace the one that I purchased from a different company earlier. The axles are perfect fits. Great group with whom to do business. I have no reservations recommending the company or product. I have a 2017 Norco Threshold C and a Whaoo Kickr Snap trainer. The 174 x 1.75 axle work perfectly as a replacement for the stock axle. Saved my about $25 over Wahoo’s. Very happy with the axle. Excellent product. 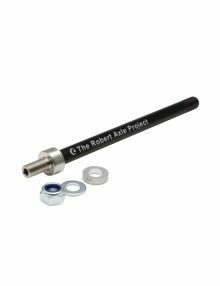 Robert Axle Project helped me figure out which axle I needed to put my cyclecross bike on an indoor trainer. It works perfectly, and the product was shipped in a day or two. Very good product and service! Bought the 12mm Thru Axle for Trainer: 174mm x 1.75mm thread. This fit both my ’17 Niner RLT and my ’14 Trek Stache 7. 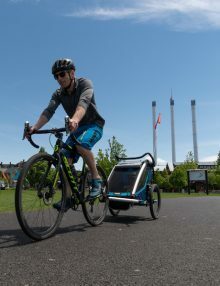 Awesome that I can use it for both bikes. Makes it so that either can fit in my 12 year old trainer. Installed on Santa Cruz Stigmata 2018 without issue. Looks great and works wonderful! I didn’t need the washer that it came with, but glad to have it just in case. Well made. Great fit. Works. Fits my Stigmata and Kinetic trainer perfectly. Highly recommended. Exactly what was needed. Originally used a cycleops trainer thru axle, but it didn’t quite fit my Blackburn trainer and wasn’t quite as stable as I’d like. 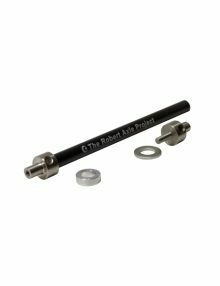 This axle has the same exact same shape ends as a standard trainer skewer, and doesn’t need any fighting with spacers, or hoping the trainer is wide enough to fit the unnecessarily enormous axle. This axle is perfect in every way for attaching my RLT to my old Trek trainer. I really appreciate that I can use this same axle outdoors (instead of having to swap back and forth like lesser products) because this winter’s fickle weather has me popping the bike on or off the trainer every other day. I asked a question by email about the washer that came with the axle and received a quick answer that it wasn’t needed for my bike. It’s really satisfying to see a company solve a specific need so thoroughly and perfectly. Axle Finder database provided me with the correct axle for my bike trainer. The fit is spot on. And it arrived within a few days of placing my order. Works perfectly. Very happy with purchase. Bought the 12mm trainer axle 174×1.75mm thread (TRA201) to be able to use my Trek Checkpoint bike with a 12 year old Computrainer. 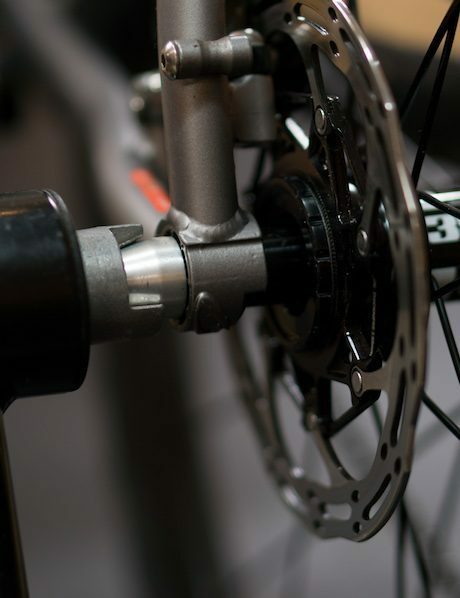 The website fitting guide was great to help me figure out which axle I needed for my bike. 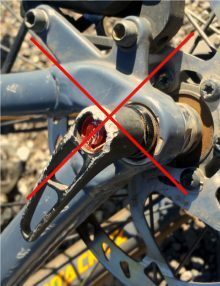 The axle was shipped fast and the installation instructions were very clear and easy to follow. The axle fits like a glove with no spacers or adapters needed. Communications with the company was great. The only improvement I would want would be a longer than one year warranty since this is after all just a metal axle! 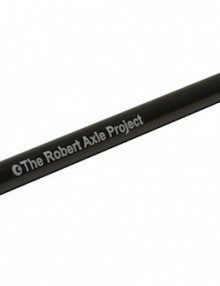 I would definitely do business with The Robert Axle Project Company again and will highly recommend them. Super easy way to get your TA bike on a “dumb” trainer. Even with the supplied washer, it fit with room to spare on a Cylceops Fluid 2. 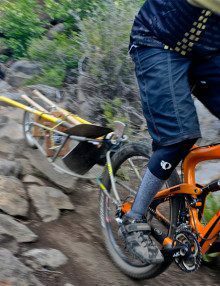 If you have any weight weenie aspirations, I would use another axle while out on the road/trail.